I get occasional audio feedback from engine throttle and dash switches (filling MLS, turning on bilge etc.). Following @David ‘s advice here, I’m grounding my head unit to the same negative terminal as my amplifiers. Instead of using my key switch, I’m wiring the head unit to a carling ACC rocker. This is pictured below. I have a few questions about this. The carling switch has 4 connections. I’m assuming it uses the wiring connections in the picture at the bottom of this post. The top 2 are for the lamp + and -. The bottom 2 are for positive power in and out. 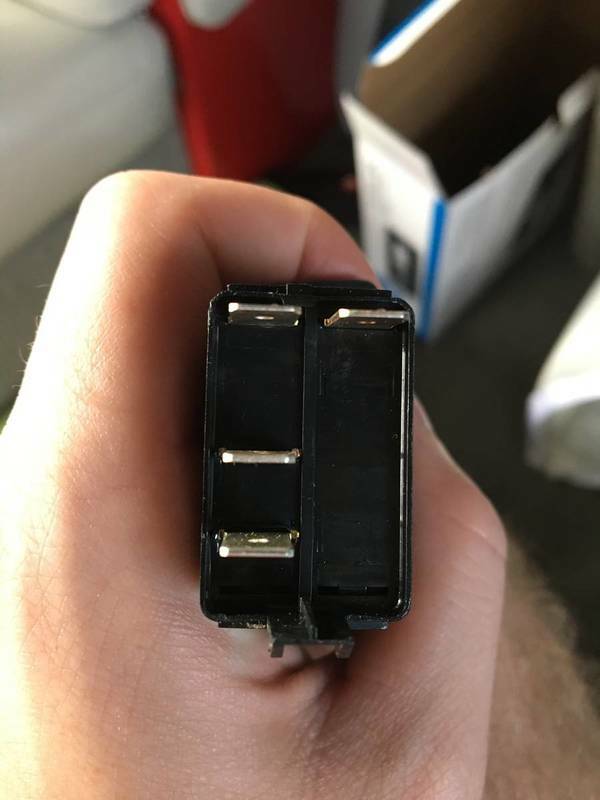 Do I need to wire 3 separate power wires from the positive terminal for the lamp +, switch input, and B+ Head unit memory ? I’m not sure if the lamp connections on the switch could interfere with audio. It just seems like a lot of wires to run and I didn’t know if there was a simpler solution. Maybe daisy chain, or distribution block style of connections? Would hate to imagine if I added more accessories/switches that needed connections. one ground wire, from the common point of your amps' and head unit's ground wires. two positive wires..... one from your source (i.e. the "hot" wire), one to your accessory that you want to turn on with the switch (likely your HU's red wire). The "hot" (positive) wire can be split (daisy chained) at the switch to go to pins 8 and 2 (ground is switched for the LED indicator light per your diagram). Your HU should be wired with the Yellow wire to wherever the common source is for your amps' positive wires. The HU red wire goes to pin 3. I'd leave the amps' remote turn lead with the blue wire from the stereo (you could switch them with the rocker too, but you'd risk getting turn-on or turn-off thump). Following @David ‘s advice here, I’m grounding my head unit to the same negative terminal as my amplifiers. The head and switch lamp ground have nothing in common, dont give them anything. The only part I’m not sure on is the ground/- on the led light switch? Ground it and the switch lights up when you turn it on. Ground is ground. The "hot" positive wire goes to both the input and the LED positive pins. The ground wire goes to ground. The switch itself makes and breaks ground to turn the LED on. 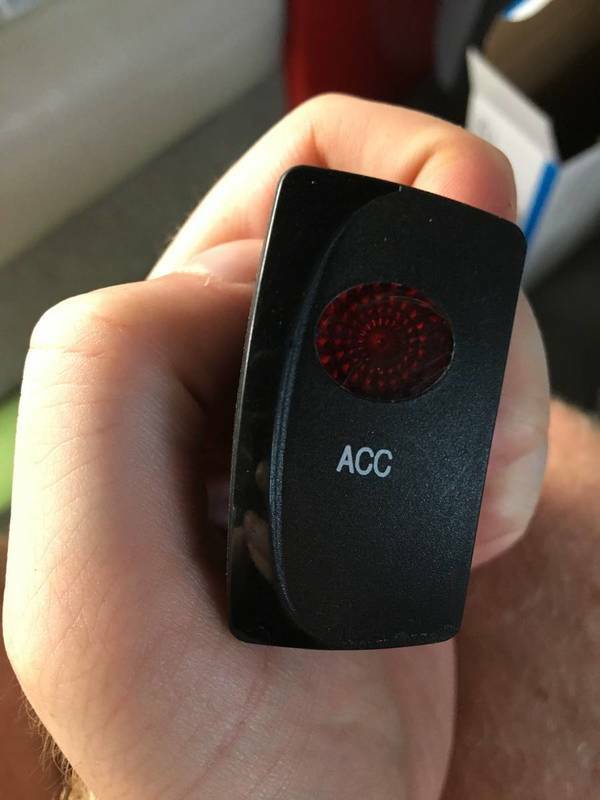 so you have "always on" power to the positive side, but the switch doesn't make ground on the LED part until you turn it on. Thanks. 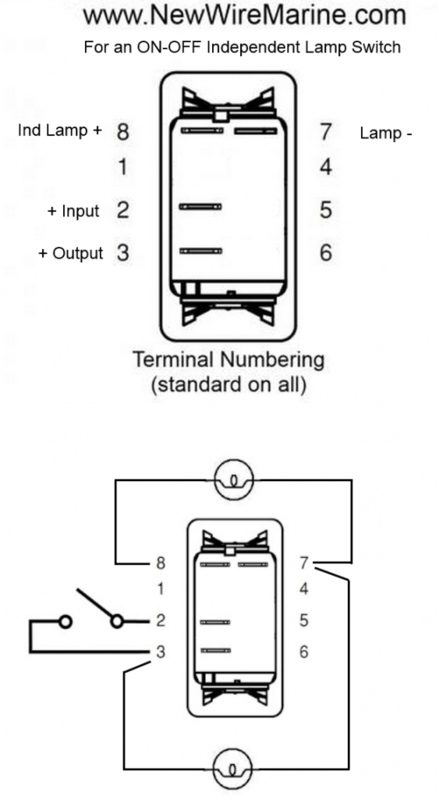 So I will need 2 ground wires from the battery: 1 for head unit, and 1 for the switch lamp - ? you really only need one wire from battery to HU, and then jump to switch from HU. Is this not going on the helm with all the others? They are have grounds for their lamps, why spend the time and effort on running another ground dedicated to this switch lamp. The B+ input for the switch is also already under the helm.